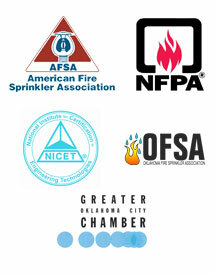 P and L Fire Protection, Inc. is a full service fire protection contractor located in Tuttle, Oklahoma. The focus of the P and L Fire Protection, Inc. is on the protection of life, property and business continuance from the threat of fire. Our commitment is to provide the best in design, manufacture and distribution of quality, cost effective products and services in the life safety industry to meet our customers’ expectations and surpass industry standards. P and L Fire Protection, Inc. delivers the finest service in the most cost-effective manner. Exceptional service and loyal customer relationships have resulted in broad referrals and repeat business. P&L Fire works with a wide range of clients including general contractors, retrofit and historical projects, residential and high-profile projects throughout the State of Oklahoma.